How many of you know what a melomakarono is? 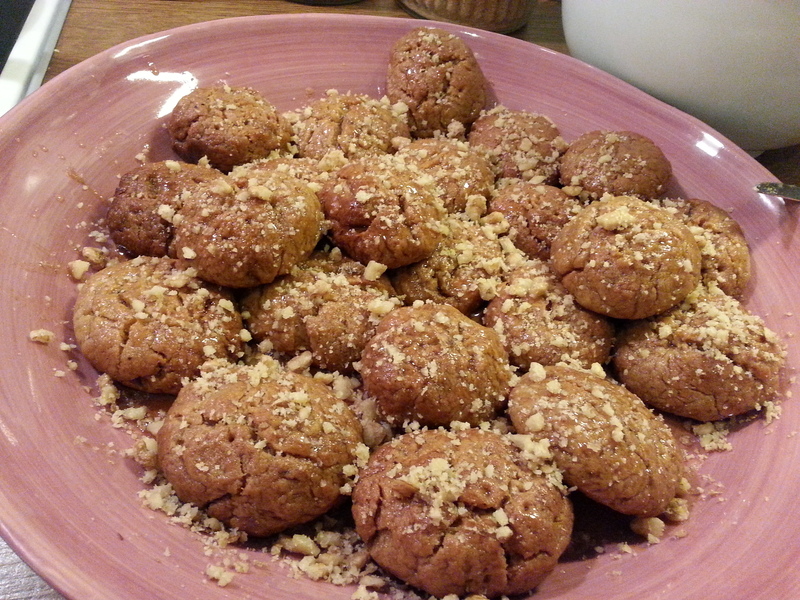 The Greek melomakarono is an olive oil cookie dipped in sugar syrup and sprinkled with chopped nuts. It is a traditional Christmas delight that you can find in every Greek home during Christmas and New Year’s holiday period. Every pastry and bakery shop sells them, and along with kourabiethes -another Greek Christmas delight- are the top 2 delicacies of the season. Although the first thought that probably comes to mind is the Italian word “macaroni”, the melomakarono name derives from ancient Greece! Specifically, the “macaroni” comes from the Greek word “makaronia”, a funerary dinner based on pasta. The aim of the dinner was to bless and farewell the dead. The makaronia comes from the ancient Greek word “makario” which means blessed. It was a piece of bread in the shape of modern melomakarono, that was offered after the funeral. Later, when the “makario” was drizzled with honey syrup they named it melomakarono. However, if you are an importer or distributor and melomakarona or kourabiethes interests you as a product, do not hesitate to contact us and we promise to bring you some of the Greek Christmas spirit!